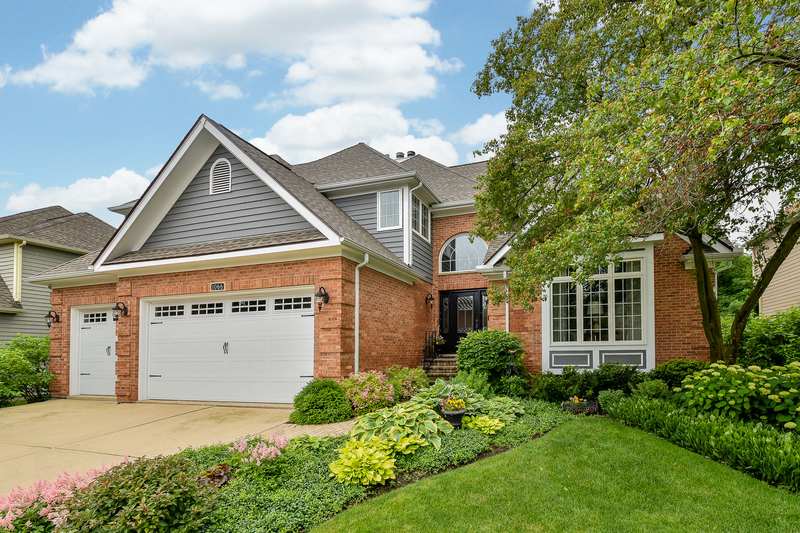 EXCEPTIONAL is the only way to describe this 4-bedroom Stonebridge beauty! Fabulous architectural details with designer decorative touches throughout! Gorgeous entry takes you to a 2-story foyer with maple hardwoods that run to the rear of the home. Open floor plan between the granite kitchen & family room that has a see through gas fireplace to the private den. Kitchen has vaulted ceiling, skylight, large walk-in pantry, peninsula, eating area & more! Impressive master suite with fireplace, spa bath & walk-in closet. 3 more spacious upper level BR&apos;s & 2 more updated baths upstairs. Separate LR & DR areas with vaulted ceiling. Main level laundry & centrally located powder room. Close to $150,000 of updates...windows, roof, furnace, hot water heaters, high-end new carpet, front door, garage doors, landscaping, fresh exterior paint, new custom paver patio with lighting, front paver walkway, light fixtures throughout , refinished hardwoods, redone master balcony & so much more! STUNNING! !